Jim Delmonico joined General Electric because he “loved automobiles” but quickly moved to become a part of the company’s radio and television expansion. He was elected Vice President of both GE Broadcasting and GE Cablevision Corporation and transferred to Schenectady where, in 1974, took on the added responsibility of being the Vice President and General Manager of WRGB-TV (GE’s Flagship station in Schenectady), WGY-AM, and WGY-FM. Mr. Delmonico’s foresight changed the climate of sales and marketing in the capital region which benefited all the stations in the nation’s 41st broadcast market of the time. 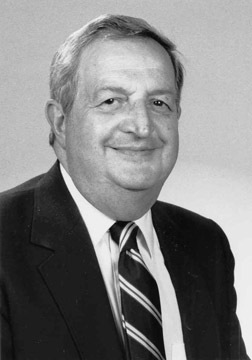 Mr. Delmonico was named “Broadcaster of the Year” in 1991 by the New York State Broadcasters Association. He served as a Director of the organization as well as Chairman of the NYSBA’s Legislative Committee.